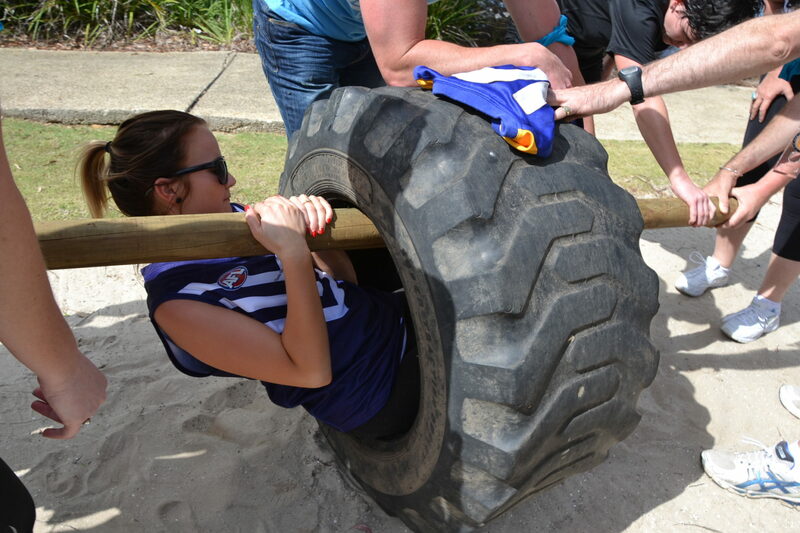 WARRIOR Challenge, TOUGH Mud, STAMPEDE Style or a SPARTAN Style race can all be set up and conducted professionally by Busysports at any outdoor venue or area in Australia. Fun obstacle challenges and team building activities, rewarding team building results! Call the BUSHSPORTS team today on 02 9871 3333 to receive a free photography package with your next team event. Bring out the warrior within! 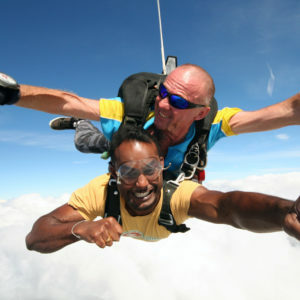 Enjoy superb Australian activities and fun challenges, in a competitive race against the clock. Bushsports can design and deliver your exceptional Warrior Challenge experience. 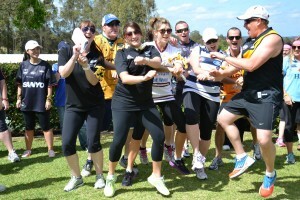 Complete a series of team building activities in a fun adventure race theme – no mud required! 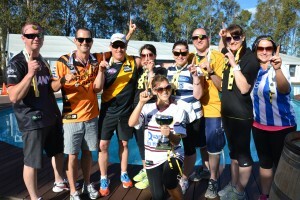 Blending team building activities into one adventure race package. Engaging Warrior Challenge with a balance of physical, cerebral, lateral thinking, problem solving and strategic planning activities for all abilities, ages and interests. Teams navigate around an area, completing as many activities as they can in a set time period. Each Bushsports Warrior Challenge program receives tailored content matched to suit the group of participants. Warrior Challenges are fine tuned to the route, locations, interests, skills, timing, weather, cultural considerations, dietary requirements and physical abilities of each team member. Different activities are worth different points so teams must strategise and decide upon which activities are of greater importance to their success. Professionally hosted by Bushsports adventure race experts, with consistently excellent evaluated results. Bushsports Warrior Challenges are available in all Australian cities, resorts, conference centres, function venues, beaches & regions. Bushsports creates engaging team building programs, designed to encourage team work which are ideal for conferences and improving leadership skills. Challenges are designed to improve team problem solving, planning, leadership, communication, negotiation and team-work skills. Strengthens team bonds and develops staff inter relationships. All the way at the top is the Warrior Challenge winners! Real Adventure Race activities that all participants can get involved in: from physical challenges, lateral thinking puzzles or provlem solving mind bogglers. 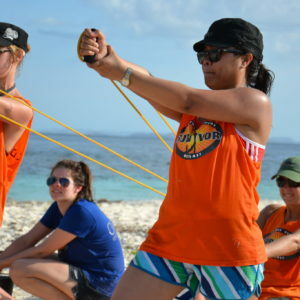 From serious competition Warrior Challenges to ‘just for fun’ team building formats. Most Warrior Challenges are 3.5 hours. Content, activities and routes can be varied with a suggested minimum of 2 hours. However, 3-4 hours is ideal as a team building exercise, depending on budget and group size. 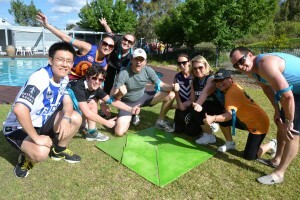 Corporate activities for groups in Sydney and Melbourne, companies and businesses requiring quality team building results. Social groups for experiencing enjoyment and fun together with friendly competition. International team incentives in Sydney and Melbourne, discovering the vibrant and iconic locations whilst enjoying unique activities that are rewarding and show off the destination. Team Building Warrior Challenges for business and sales teams looking to improve communication, cooperation, trust, cohesion, problem solving, collaboration and leadership skills. Warrior Challenges Conference break outs and Team Meetings for team building ice breakers or team energiser activities to stimulate thinking and networking. Corporate Planning Days & Off-Sites – fun interactions and positive friendly competition across a range of team activities. Large Scale Group Activities – for active engagement, embedding and delivering a corporate message or business value.